CRAFTED IN SOLID 14K GOLD & MADE IN ITALY - This pendant and chain is suitable for Men, Women, Children and made to last. This necklace also comes in a lovely GIFT BOX. 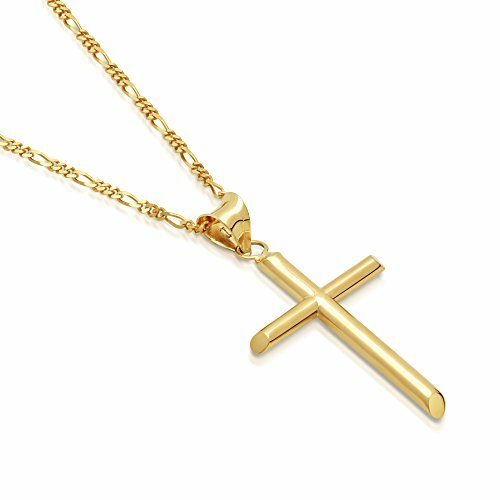 SIZE INFORMATION - The gold cross pendant is 30mm heigh and 15.57mm wide. The included SOLID GOLD Figaro Chain is 1.6mm wide.